Paul West saw the self-publishing revolution coming in the 1990s as music was increasingly becoming digital. He discusses his book, First Cause, and the numerous marketing methods he’s used to reach his audience. Journalist Adam Grey has just woken up in the hospital, a week after the world was thrown into chaos by a battery of explosions. A woman named Angela, whom he recently met, might have something to do with the attacks. As the truth emerges, it will challenge their conventional assumptions about what it means to be human. 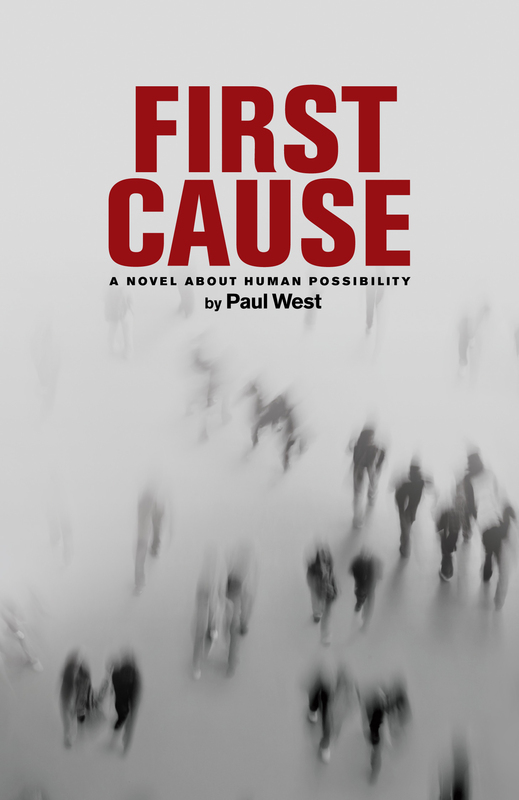 First Cause: A Novel About Human Possibility is a thematically driven speculative thriller with a strong female protagonist. It appeals to a broad range of readers, including history buffs and sci fi fans. Back in the 90s, when I first had the idea of actually trying to publish somewhere down the line, I noticed what was happening in the music industry; I had the feeling the publishing industry would begin to go in a similar direction and I looked into the ways that that might happen. I had a decent social network in place, so I set things up by building a mailing list while I was working on the book; I sent out excerpts and occasional updates, and I threw a ‘completion party’ when I wrote the last word on the last page – before all of the post edits, though. I was just celebrating the fact that the story was complete! I celebrated with friends, family, acquaintances, and all the people who’d provided critical feedback and moral support during the writing process. I took a year away from it, just to decompress – then I began the editing process, my own A-Z edit, and then some fantastic editing done by people with great minds and sharp eyes. I’m glad I did it! Partly because I’ve sidestepped the machine politics of the ‘big six’, but also because I feel real ownership over my product. I have to say, though, it’s a lot of work. I’m still picking up nuances here and there, but I’d say that social media really is as potent as some people think it is. I recently released the final version of my cover art, which I’m really happy about; I’ve used it to create promotional stickers, flyers, and even a test-run of a t-shirt. I’ve also done a few radio shows, guest blogs, and events around New York City. I’ve been fortunate enough to do some book readings/signings, too. I try to avoid anything that seems cheesy. I definitely don’t subscribe to the idea that there’s no such thing as negative attention. I’m happy to say that I’d anticipated most aspects of the self-publishing process! One of the defining characteristics of the process has been the necessity to be thorough at every step. I’d have gone for much bigger out-of-state pre-release promotions! My post-release promotion has, all things considered, gone pretty well; I think I could have generated a lot of pre-release buzz, though my pre-release outreach in the NYC area went pretty well. I’m happy to say, though, that I’ve been working on broadening my out-of-state and international reach. I was just added as a literary guest to Fandom Fest 2012, a Science Fiction convention that’ll be in Louisville, Kentucky from June 29th to July 1st! And I’m currently in queue with a few reviewers in Europe, specifically Britain and Germany. Research. Research every angle, from formatting to promotion; it helped me get to this point, and it will certainly help you. And once again, be thorough at every step. 9. Are you currently working on any projects? Well, Book Two of the Terranaut Trilogy is already underway. I’m also about finished with the storyboarding process for a book trailer; that will hopefully go live sometime this spring. I’m looking to get involved with more conventions – see above, I’m going to be a literary guest at FandomFest this June! – and radio shows. And the new cover art’s about to go live in paperback form. 10. How can readers learn more about your books? The best way to hear about First Cause-related news is to follow @firstcausenyc on Twitter; I occasionally tweet about sports, current events, music and other things that interest me, as well. There’s also the official Facebook page, where you can “like” the book and find out about promotions and signings or readings. If you’d like to check out the first chapter, you can read it on the official website, firstcauseproject.com. Last but not least, if you know any fans of thoughtful speculative fiction, please spread the word! First Cause is available as an e-book on the Kindle and Nook, and also on Smashwords. I’d like to thank everyone who’s helped or encouraged me along the way. I wouldn’t be here without you, and if I could thank every one of you personally, I would. I’m fully aware of how fortunate I am to have come even this far, and I’m extremely grateful.